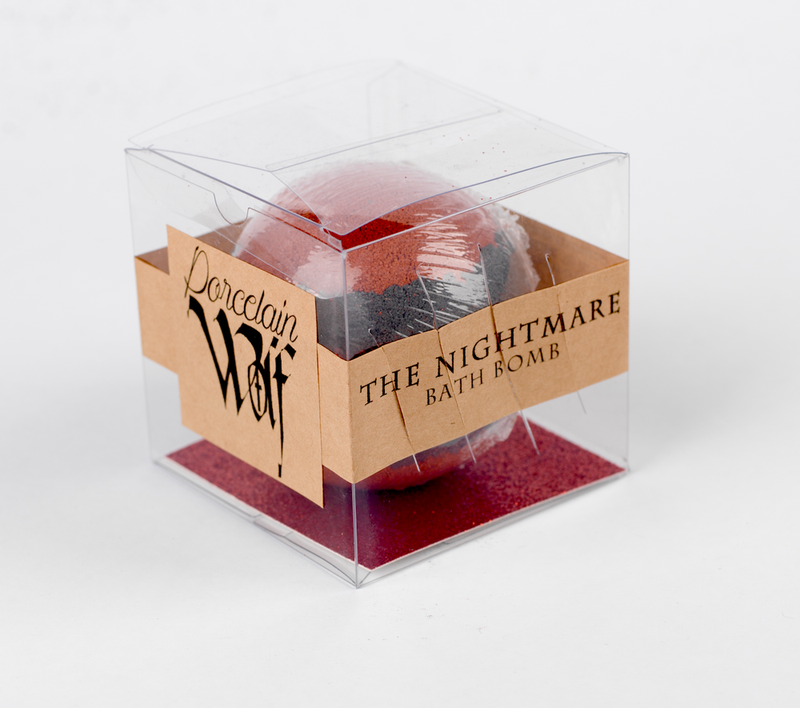 Check Out These Horror-themed Bath Bombs! Love taking baths? Love delicate scents and colored bath water? Love horror movies? These bath bombs by Porcelain Wolf Bath Novelties are to die for! The American Bath Bomb in London is Moonlit Harvest scented and not only leaves the bath water a “Grey w/ a Golden shimmer” color, but conceals a moon stone to keep (but not eat). The Cannibal, inspired by Hannibal Lecter, is Berry Chianti scented and turns the water orange with a red center. Plus many more! Not only are they gore-geous, they aren’t tested on animals, and they don’t stain the tub. Don’t like baths? They also offer shower fizz and scrubs. You can shop for them at porcelainwolf.com (but as of this moment, they’re all sold out).